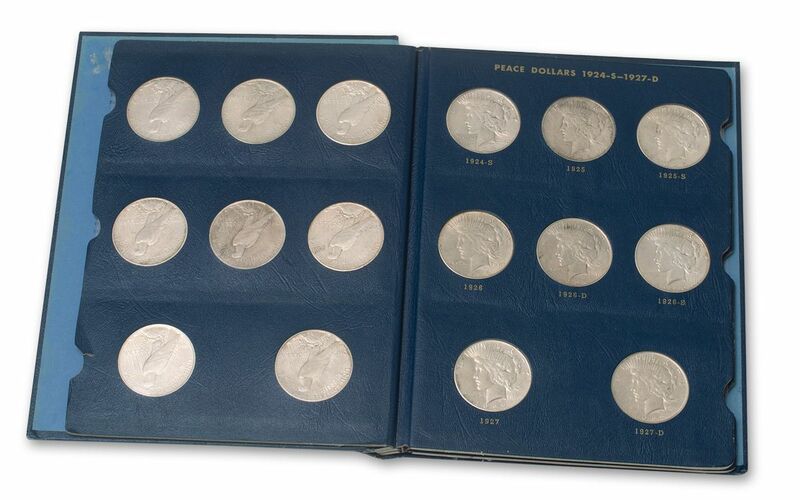 Own A Complete 24-Coin Set of U.S. Peace Dollars! 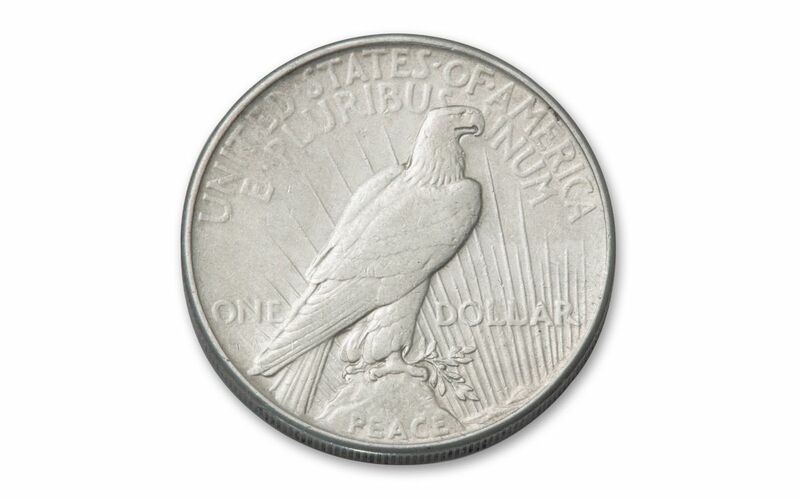 The Peace Dollar is the last true American silver dollar series struck by the U.S. Mint in 90% fine silver. Originally intended as a one-year release struck in high relief to commemorate the end of World War I, the series continued to be minted for a total of 10 years between 1921 and 1935, with the last nine releases struck in standard, but no less beautiful, relief. Unlike its predecessor, the Morgan Silver Dollar, Peace Dollars were not nearly as prolific, with far fewer releases and just a third the number of total coins released to the public. Many Peace Dollars were also damaged during circulation so finding nice examples of these beautiful coins today can be quite difficult. While every collector enjoys the thrill of the chase, sometimes it’s nice to let someone else do the hunting for you. It’s in that spirit that we present a full set of 90% silver U.S. Peace Dollars, all in Extremely Fine (XF) condition! In this set you’ll receive 24 coins, including the hard-to-find 1928-P, 1934-S and the high-relief 1921-P! The entire set will come beautifully displayed in a custom presentation case and accompanied by a certificate of authenticity. 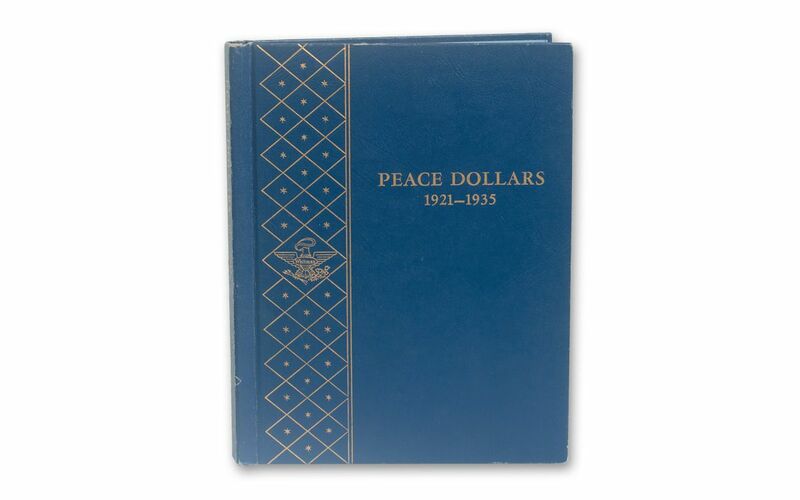 Don’t sweat the details; capture some peace of mind and add this complete set of Peace Dollars to your collection today! FAMOUS PEACE SILVER DOLLAR – While not produced in the same numbers as the Morgan Silver Dollar, the Peace Silver Dollar series has seen its reputation grow with each passing year. Designed by Anthony de Francisci, it features a design of Lady Liberty on the obverse and a perched eagle on the reverse. It was struck from only 1921 to 1928 and again in 1934 and 1935. 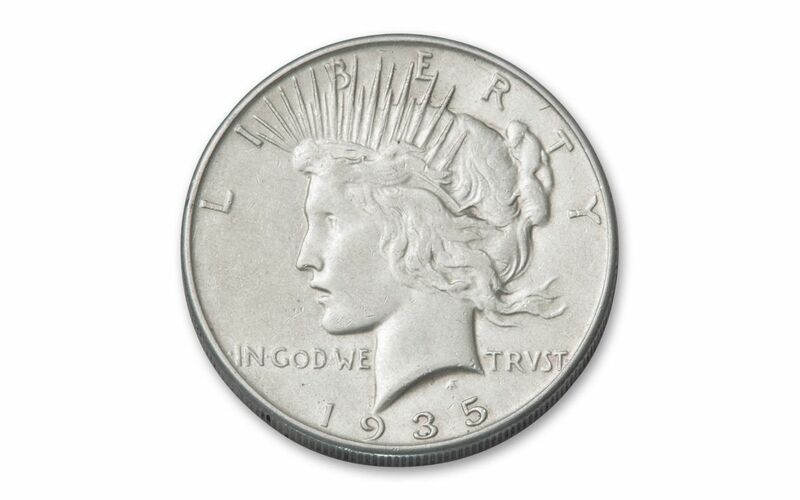 STRUCK IN FINE SILVER – Each Peace Silver Dollar was struck in 26.73 grams of 90% silver. LEGAL TENDER U.S. COINAGE – These coins were $1 legal tender in the United States and circulated widely during the Roaring ’20s and Depression-era ’30s. NICE UNCIRCULATED CONDITION – Each of the Peace Silver Dollar in your set will come in nice Extremely Fine (XF) condition with complete details and only minor wear. 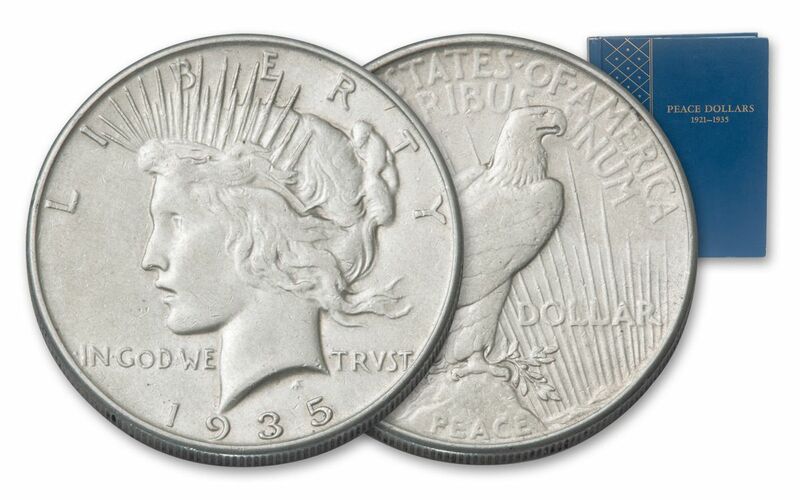 Every date, every mint mark – this is your opportunity to get the complete 1921–1935 Silver Peace Dollar Coin Collection. Add it to your cart today!